The 43rd Annual Maud Whitmore Benefit Concert will be a night to remember featuring actors, dancers, and musicians from Anne of Green Gables–The Musical™, Kronborg-The Hamlet Rock Musical, Mamma Mia!, Atlantic Blue and Spinning Yarns. 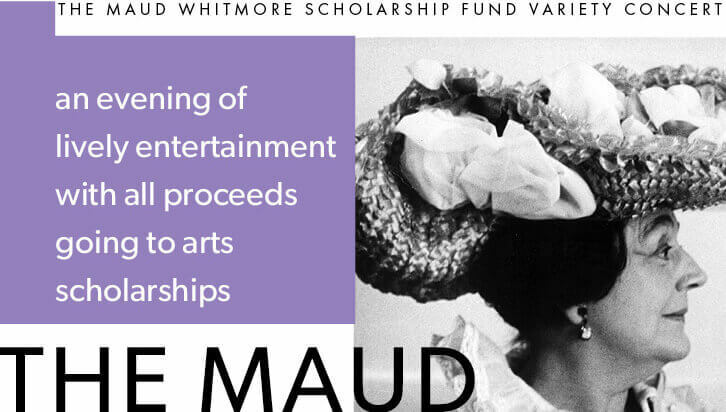 On Sunday, August 25 at 7:30 p.m. in the Homburg Theatre, the staff, cast, and crew will volunteer their talents to raise money from ticket sales for the Maud Whitmore Scholarship Fund. These scholarships assist selected performers, designers, musicians, crew and staff members in achieving proposed professional goals, such as new artistic training or workshops.